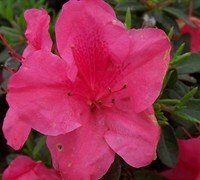 Autumn Angel Encore Azalea is a moderate growing shrub that can be grown in USDA Plant Hardiness Zones 7A through 10B. It matures to an average height of 2 feet to 3 feet and an average width of 3 feet to 4 feet, depending on climate and other environmental factors. It prefers growing in a location that provides morning sun with afternoon shade or filtered sun and grows best when planted in loam or clay soil that is well drained or moderately drained. 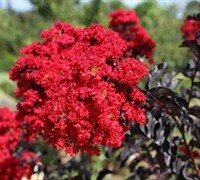 It attracts visual attention and is resistant to diseases and heat. Autumn Angel Encore Azalea can be useful in the landscape in mass plantings, in foundation plantings, in containers or planters, in shrub borders, as a focal point, in landscape beds or islands or as a hedge and also in theme gardens or cottage gardens. 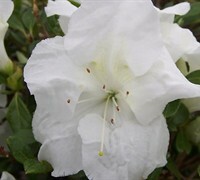 Autumn Angel Encore Azalea produces an abundance of pretty, pure white flowers that appear iridescent in the morning light. 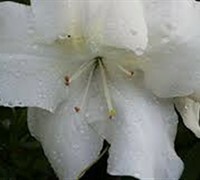 Flowers are produced in spring and fall and sporadically during summer. USDA Zones 7-9. 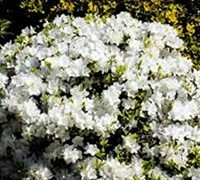 Autumn Angel is one of the mid-size Encore Azalea making it useful as a low, colorful flowering hedge, home foundation plant, as a background to lower growing plants or a foreground to taller growing plants, or in small to large groupings in sunny to partially shaded landscape beds. Azalea were delivered just a few day after i ordered them! Very happy! They were all in healthy condition, packed well and no damage at all. Planted some months ago and they are doing great and starting to bloom! Hi Shelia, Thank you for taking the time to share your experience we us at ToGoGarden.com. We are very happy to hear that your plants arrived in good time and healthy! We know our customers are excited to get their plants so we ship as soon as possible! Please let us know if there is ever anything we can do for you! 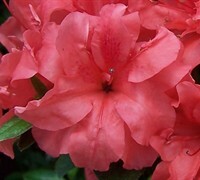 Enjoy your Azalea! Plants arrived safe and sound and very healthy. I especially like how easy your website is to navigate and that you have a great selection of plants! Much more convenient than driving all across town for my plants. Thank you! Very beautiful plants!! They arrived on time very well packed and healthy. Thank you! Very happy with my experience with ToGoGarden.com! All my plants arrived healthy! Really impressed!! 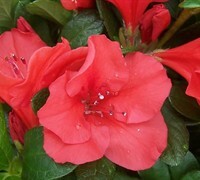 My Encore Azaleas were delivered in a timely manor and in great shape - very healthy plants! Customer service was kind and helpful too. 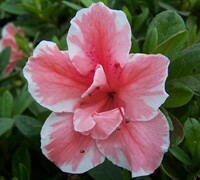 I ordered 3 Azaleas and look forward to watching then grow. My Azaleas arrived fast and were delivered very healthy! I ordered them in a few different colors for the front and back yard. Really great quality and i was very happy with the great price!! Thank you i will order again! 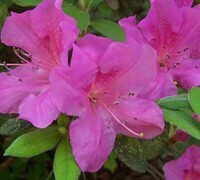 Received my azaleas in great shape. Looked healthy and just as described. Thank you for the fast shipping.